This is a chance to get in on a Big Name Brand without the franchise fees. This coffee company is well established and has a very classy, high end reputation and is the only one currently in Kitsap County. The current owner has exclusive rights to Kitsap, Mason, Jefferson and Clallam counties with no competitors allowed. The current owners are absentee and don't have the man hours to watch over this. Ideally, an operator owner would do the best: a $50,000 savings in wages could be an add back, not to mention if it is you promoting your business, everything is always better. There are many untapped and not well promoted revenue streams that I saw immediately upon entrance, one is whole bean coffee retail sales, second is lunch (that would be huge), not to mention local community events and tons of merchandising space. 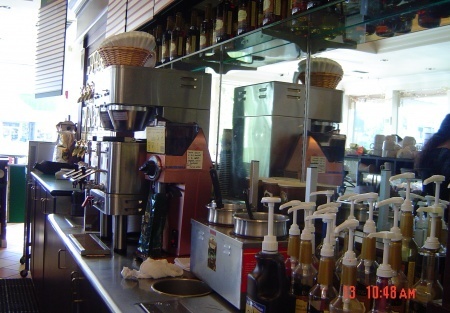 It is a beautiful space with top of the line automatic machines. The location is also in a very desirable area and on an end cap. The possibility of adding a drive thru was discussed and may be a thought, but not necessary runs beautiful as is. Go on in and take a look, order a coffee and plan your future; then call me.